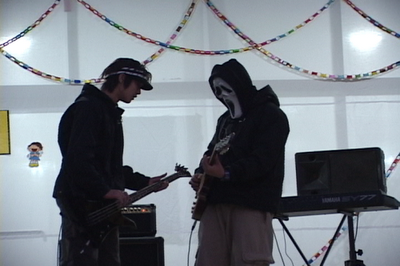 SS501 Kim HyunJoong youth band's footage was revealed for the 1st time. In the MBC Every1 "The Star Secret" on 30 October, exclusive footage of Singer Kim HyunJoong's youth band during year 2003 festival celebration will be revealed. 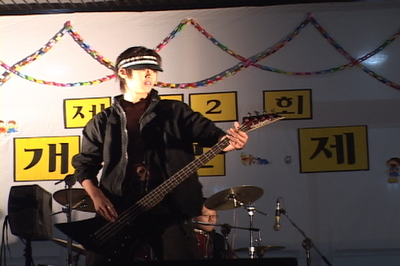 Kim HyunJoong and his church friends form a youth band in which he was the bassist. They were invited to various competition, Rock Festival, school activities and festive celebration and was a quite famous band in Songpa-gu. At the same time, guitarist of N.E.X.T band Kim Sei Hang* (*김세황, sorry I am not very good in forming the romanization, please correct me if you know) gave very high praise towards Kim HyunJoong's guitar performance. He mentioned that Kim HyunJoong's performance is very natural and showed confidence in his rhythmic and performance style. His feel towards instrument is very comfortable. Without doubt, Kim HyunJoong has endless potential. In this episode, Kim HyunJoong undisclosed photographs during his schooling period and his first poster before he debut in 2005 and also during filming of 'Boys of flower'.